Those who fail to learn from history are condemned to repeat it, Winston Churchill told House of Commons in 1948. This adage still resonates because there is a reason why clichés are clichés. In 2003, the BJP swept Rajasthan, Madhya Pradesh and Chhattisgarh. An elated Atal Bihari Vajpayee called for early elections. Who could have blamed him? Farmers were apparently happy with BJP: or so the results indicated. So was the middle class. So the affable prime minister went for the kill. The rest is history. There have been yottabytes of analyses on how ‘India Shining’ cost BJP the elections in 2004, but most of it is fact-free speculation. 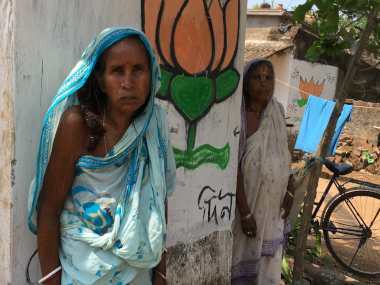 The BJP held its own in these three states in Lok Sabha polls where rural voters comfortably outnumber the urban. What this does tell us is that it is fiendishly difficult to predict the mind of voters, and easy to fall into the trap of confirmation bias while interpreting election results, or looking for monocausal explanations. Beyond the difficulty of casting Assembly polls as a predictive model for general elections, there are a thousand factors at work that determine the final outcome. To take just one example, the BJP has won more votes than the Congress in Madhya Pradesh: where it was fighting strong anti-incumbency sentiment. And yet the Congress grabbed more seats than the BJP and is poised to form the government, ending Shivraj Singh Chouhan’s 15-year tenure. 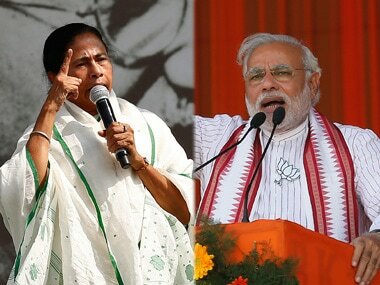 Therefore, while it is the duty of Mamata Banerjees and Rahul Gandhis to spin BJP’s Assembly defeat as beginning of the end for Prime Minister Narendra Modi, analyses must take into account factors that lie behind the spin. 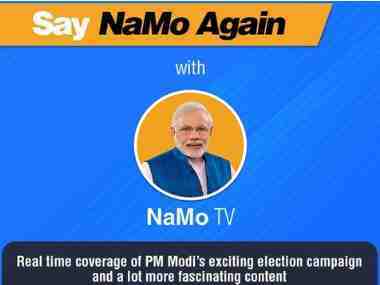 In his first news conference after shepherding Congress to victory over BJP in three Hindi heartland states, Congress president Rahul Gandhi said the BJP’s defeat is a “message to Modi”. He is right on the money. Modi will get the memo, and so will his party. Two factors (among other ones) that hampered BJP in 2004 were complacency and overconfidence: a point later conceded by Lal Krishna Advani. Its core supporters were too confident of victory to vote with their feet and its election machinery failed to fight as if the party’s life depended on it. The tough losses in three Hindi heartland states that bankrolled Modi in 2014 may generate tougher introspection in the party and prompt it to reflect, analyse, learn lessons, take difficult decisions and implement them. BJP’s effort in this direction is likely to be more honest than the Congress, which reflexively tries to protect the Dynasty and deflect blame from the First Family in any situation. There is not an iota of doubt that BJP would be smarting from these losses and there should equally be no doubt that it will try its damndest to turn it around by being ruthless in introspection. For instance, the party has not done well in the urban areas of Madhya Pradesh among middle class voters it may consider as its “core”, which indicates a clear dissatisfaction among the trader communities and salaried class. This is an area for the BJP to take note of. However, this ‘complacency’ theory is unlikely to work where the voters clearly wanted the BJP out, for instance in Chhattisgarh, where Congress sent Raman Singh packing despite lacking in organisational strength or a visible leader. But has that been the case in the other two states? In Rajasthan, where pundits and pollsters declared a “clean sweep” for Congress and a humiliating end of Vasundhara Raje’s reign, the prediction held, but not the margin. Defying conventional wisdom of a “deeply unpopular chief minister” leading BJP to suffer a rout against the Congress, the result showed a close battle where Congress eventually fell just short of the majority. For all the pre-election talk of Congress cashing in on the anger against Raje and getting around 150 seats in an Assembly of 199, the grand old party ended up with 99 and 39.3 percent vote share. The BJP finished with 73 seats but tallied 38.8 percent vote share. The contest was much closer than it appeared. There were no such misappropriations in Madhya Pradesh where the battle went right down to the wire, and BJP (41 percent vote share) ended up with marginally more votes than the Congress (40.9 percent) but fewer number of seats. This indicates that many seats in Madhya Pradesh (and possibly in Rajasthan too) were decided on the basis of wafer-thin vote margins in first-past-the-post system. This is where the NOTA votes assume significance. 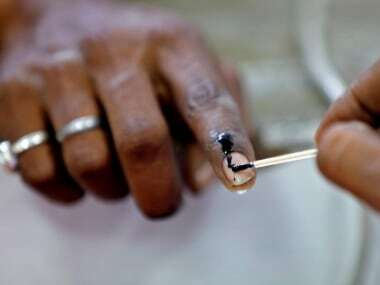 It is nobody’s case that all NOTA voters would have otherwise voted for BJP, and hence a simple transference would swell BJP’s hypothetical kitty, but remember: these are states where BJP was the incumbent, and such a huge number of NOTA votes (where voters were motivated enough to walk to the booth and choose no one instead of skipping the voting process) indicates dissatisfaction with the local leadership and lack of alternatives. This is where the game may change in 2019 where Modi will pull his weight independent of the party and mandate will be projected as a vote in favour, or against him. In such a scenario, and combining the lessons BJP would have learnt from these defeats, it is plausible to assume that the results could be different. It has been written and discussed ad nauseam that Modi is the tallest leader in BJP. The election results in three Hindi heartland states has reinforced that truism, removing the possibility of a Chouhan or Raman rising from the ranks and challenging Modi’s hegemony within the party (even if that was a theoretical possibility). The losses will also enable BJP chief Amit Shah to crack the whip and remove deadwood from which is easier to do in defeat than victory. If it does shape up that way, and there are all indications that it will considering the fact that Congress’s PR machinery and media cheerleaders have already started the drumbeat, the contest may play into BJP’s hands. For all of Rahul’s profound virtues and mythical leadership skills — that lay hidden in years and years of defeat and are being suddenly discovered in a span of 24 hours — facing up to Modi in a presidential challenge might be a tall order for even the ‘talented’ Congress president. Stranger things have doubtlessly happened in politics, but Rahul’s leading the anti-Modi front will be beneficial for the BJP in ways more than one. Here, Modi’s strengths and Rahul weaknesses will come to the fore. 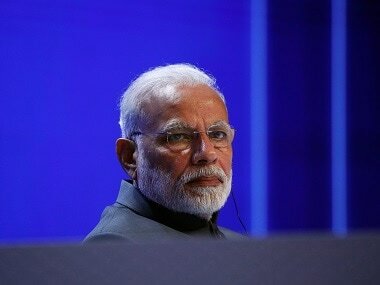 Modi has spent the better part of his tenure as prime minister in building an image that goes beyond the cut and thrust of everyday politics and the wins and losses that are integral to it. This is borne by the fact that despite bruising losses in Bihar and Delhi quite early on in his term as prime minister, Modi’s personal popularity has never wavered. In 2019, he will be fighting for himself, leading the battle on electoral turf where he is yet to suffer a personal defeat. In contrast, a stronger Congress will start throwing its weight and pitching Rahul as the prime ministerial candidate while dealing with allies, a condition that may put off regional chieftains. For instance, TRS, which registered a thumping win in Telangana and demolished the Congress-led coalition, may not want to ally with a party whose leader has been described as a buffoon by K Chandrasekhar Rao. Mamata sounded elated at BJP’s defeat on Tuesday, but few would have missed that she appeared reluctant to credit the Congress. The problem that regional outfits face is that a stronger Congress is noxious to their own interests and counterproductive to their ambitions. Once again, Modi may find greater space to exploit. It is tempting to see any election as reflective of a larger trend, but Indian electorate is a dynamic, throbbing, complex and indescribable phenomenon. In 2019, the contest will be different.